Posted on Saturday, March 23rd, 2013 at 6:00 pm. Each year, TaiwaneseAmerican.org is pleased to support the premier Asian American Film Festival in San Francisco. Now known as CAAMfest, the Center for Asian American Media’s annual festival features not only amazing works in film, TV, and digital media, but now also includes showcases in music and food. This year, we’ve chosen to officially co-present three films. Building on the success of a web series introduced last year, two of our very own Taiwanese American actors, the beautiful Lynn Chen and Michelle Krusiec, return alongside Sheetal Sheth in Nice Girls Crew 2. TaiwaneseAmerican.org is also pleased to present audiences to two films from Taiwan, Go Grandriders and Touch of the Light. Tune in to our TaiwaneseAmerican.org Facebook Page for chances to win pairs of free tickets to some of these screenings! 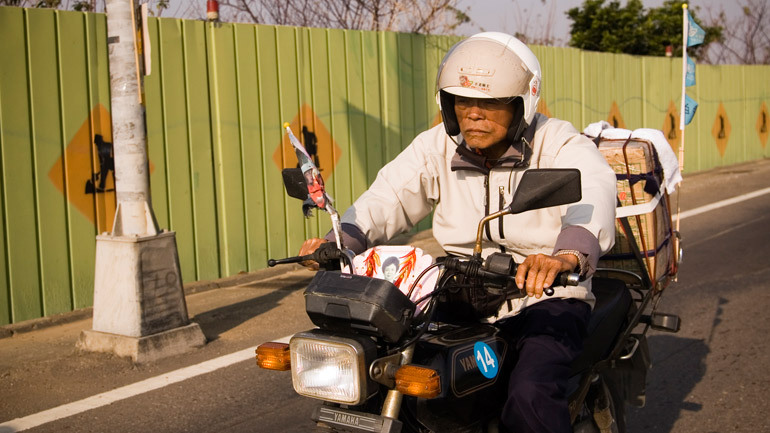 In Go Grandriders, a group of senior citizens embark on what may be the most daring adventure of their lives: a thirteen-day tour—entirely on motorcycle—around the island of Taiwan. A number in the group have heart problems, two have had cancer, and their average age is 81. 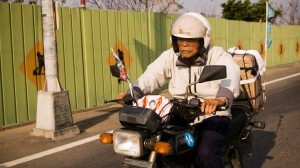 The trip brings harrowing escapes (one rider falls asleep at the wheel, while another is knocked off his bike by a truck), pure exhilaration (including a gleeful romp in the waves when riders reach Taiwan’s east coast), and somber reflection, as riders recall their youths fighting in the Sino-Japanese War. Along the way, the Grandriders travel to nursing homes, eliciting cheers, tears and admiration from other elders as they describe the tour. As their captain announces, “Elders are not only capable but energetic. No one is too old to realize their dreams.” His own unyielding dedication to the group not only lands him in the hospital multiple times during the tour, but also brings him back to greet the riders at each leg of the trip. Other characters we meet along the way include a merry grandfather whose only sadness is missing his weekly trip to the night market with his grandson, and a pastor married to a cancer survivor, who consider the trip their belated honeymoon. Defying society’s expectations, the Grandriders’ journey will inspire and delight audiences both young and young at heart. Be sure to support the other great films presented at CAAMfest! This festival is a treasure trove of great Asian American works from established as well as emerging talent. 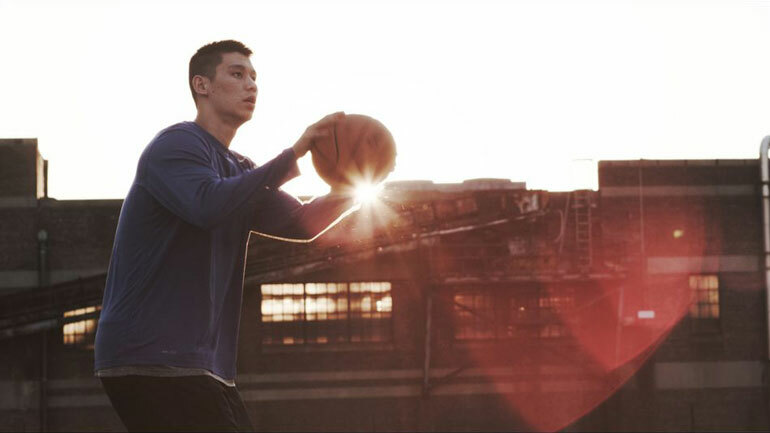 We invite you to attend to join TaiwaneseAmerican.org staff who will also be attending the Opening Night film and Gala event featuring the eye-opening and exciting documentary about the Jeremy Lin story, LINSANITY, which premiered at Sundance Film Festival! We’ve seen a preview screening, and we’re so excited about it, we can’t wait to see it again!